Superb Condition & Lovely Size, all pine travelling EGGS box. 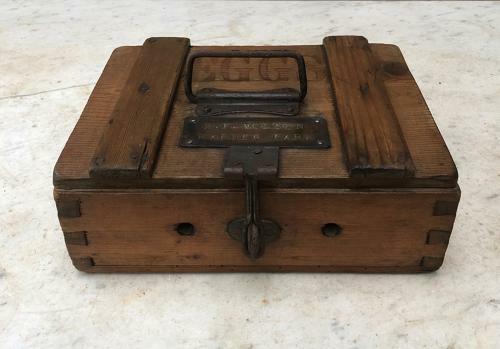 Made by the DAIRY SUPPLY CO..named THE VENTILATOR EGG CARRIER" All hinges and handles intact. Great colour and no worm.